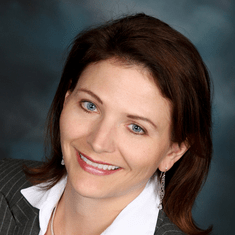 Extended Evernote Workshop – Discounted for Wisconsin Business Owners! We are excited to offer you (and any friends or co-workers) a special Evernote workshop training opportunity to learn how to utilize the amazing productivity and organizing tool: Evernote. In January Dave Rebro, who is a Certified Evernote Consultant, introduced us to Evernote during a special morning workshop. About 30 attendees raised their hands for additional professional training… and voila! Register at the link below and secure your seat to your Evernote Jump Start! I am reaching out to you because you attended the “Get Organized with Evernote in 2017“ WisOwners Meetup morning workshop on January 27th. At the end of that workshop, many of you requested a hands-on workshop to help you ‘Jump Start’ your use of Evernote. Friday, April 7th, from 9am to Noon at Ottawa University Brookfield Campus (just west of Brookfield Square)…very close to where we meet for Wisconsin Business Owners Meetup morning workshop. This workshop provides business professionals a jump start to setting up and using Evernote’s desktop and mobile app, as well as the online edition of Evernote. In addition to providing an overview of Evernote’s key features and functions, you’ll learn the four main organizing pillars of Evernote and how to best use them for business and personal life. Plus, I’ll share some great bonus items with you too! Please reach out to me with any questions regarding this workshop or Evernote. I look forward to helping you get a jump start to organizing your business and life with Evernote! PS…I invite you to share this with a friend, team member, or associate (the discount pricing applies to them as well). Just have them register through the above link. Whether you actually ever use Evernote or not, You’ll get a ton of organizing insights! Join us to kick-off 2017 with a practical and tactical way for Business Owners to manage their mind and business documents effectively and efficiently! – Would you love to be organized and stay on task by gathering and consolidating all the business content you need into one place? – Are you maximizing your productivity and working efficiently? – Do you desire more growth in your business, but feel overwhelmed and unorganized in your daily, weekly, monthly, and yearly routines and practices? – Have you resolved to de-clutter your office and brain in 2017? Organization is a key pillar to inspiring creativity, maintaining clarity, and maximizing productivity for growth in your business. This interactive presentation will combine organizational strategies with the powerful productivity tool ‘Evernote’. This combination will help you get both your business and personal life organized for an even more successful 2017. In this presentation, Dave will introduce you to the tool he uses to organize and manage his business — Evernote. Learn organizational strategies that will help you go from productivity frustration and information overwhelm to a streamlined and efficient operation of your business. Dave will also share some of the struggles he faced in his business that forced him to make a big shift in how he stays focused, organizes information, manages client projects and workflows, streamlines critical tasks, and remembers everything with his now ‘digital brain’. – Do you dread looking at the clutter you have on your office desk and computer? – Are you looking to reorganize the way you work in the New Year? If you are interested in reorganizing daily work habits, routines, and processes in 2017, then join us and learn how Evernote can consolidate your work into one centralized modern workspace. 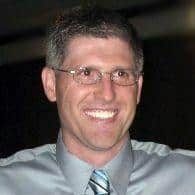 Dave Rebo works with Solopreneurs, Small Business Owners, Groups and Associations who are looking to go from technology frustration, confusion, and overwhelm to technology knowledge, comfort, organization, and efficient workflow management. Bottom line — achieving desired results. Dave has been dubbed a Technology Therapist. His passion is to take a holistic approach to his client’s technology anxieties, frustrations, and overwhelmedness, and find solutions that best fit the way they think, learn, and work to help them reach their business and life goals. 25 plus years of technology knowledge and business workflow experience has contributed to Dave’s expertise is simplifying technology and making it easy for people to understand and use. In that spirit, Dave is a teacher at heart with a positive outlook at business, success, and life. Dave experiences the most joy when helping others solve a problem and obtain success while gaining clarity and confidence. He loves helping people grow and achieve more in both business and life. Although experienced in many technologies, Dave Rebro is an Apple Certified Support Professional/Integrator and Certified Evernote Consultant. 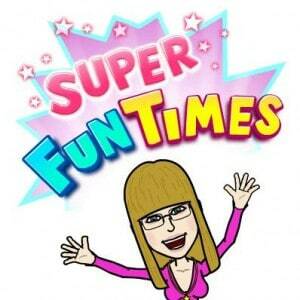 Dave is active online with his Bi-Weekly ‘iPad Tips, Tricks and News’ newsletter, Apple iOS Learning Club, YouTube Video Channel, blog article writing, online informational products, and he maintains a social presence on Facebook, Linkedin, and Twitter. 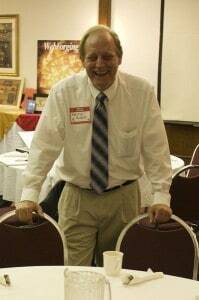 Offline, Dave has been the featured speaker at various business and associations meetings and events. He also co-leads a monthly open and interactive discussion group for growth minded business owners at the Hudson Business Lounge in Milwaukee’s Third Ward. He is also planning on organizing the area’s first Evernote Productivity Meetup Group. If you’d like to join us for the Lunch & Learn immediately following this workshop, it requires a separate registration process. Click on calendar date Jan 27, 2017 to begin that process. We look forward to lunching with you too! Please contact Keith with suggestions or questions. Join us – RSVP for this Special Morning Workshop now! Extend the value of your deepening relationships at our LinkedIn Wisconsin Business Owners Group. You’ll love Dave Rebro’s Evernote Organizing even if you never touch Evernote…and even more if you do! Man Up! Woman Up! Meetup! Meet IRL – In Real Life! Get Yourself to Woman Up ~ via Meetup! Woman Up! If you haven’t explored Meetup.com – take the time! Men too! Man Up! Woman Up! Meetup! Meet IRL – In Real Life! Find all sorts of groups close to you that match your interests. Explore groups in your area that match your interests, both personal and professional, at Meetup.com Please start with Meetup.com/wisconsin-business-owners ! Be prepared to take considerable time to really explore this extra-ordinary site that does more than connect you online. Meetup helps you actually Meet Up IRL – In Real Life! The more time you spend at Meetup, the more diversity you’ll find. Yet it is all based on a solid, consistent foundation. You’ll find that most of the folks who get involved in any sort of Meetup have something ‘extra.’ No, they’re not all total extroverts. Indeed, I know quite a few who’ve overcome their naturally-introverted natures to get out and meet people. That’s the extraordinary extra they possess – the drive to make human connections! This is especially true of all sorts of people who simply want to share their (personal and/or professional) interests with like-minded folks. Ladies (guys can come too), Woman Up! Woman Up with Karin Conway and others at the War Memorial, Saturday, February 6th. Karin is a veteran Organizer of Wisconsin Business Owners and we’re fortunate to have her! She’s an extraordinary networker. She organizes many other events, especially around the interests of health, nutrition, wellness and whatever is good for Mother Earth and the people who inhabit her. See my review at http://keithklein.me/audible-books-best-of-the-web/ for 2 Free Audiobooks. I’m very interested in getting a lot of Southeastern Wisconsin Meetup (and other group) organizers together to do a panel discussion on just what makes a group successful. If I was an organizer just starting out, or with fewer than 50 or 100 members, I’d want to attend a panel like this. Heck, I still want to learn to make our group more successful. 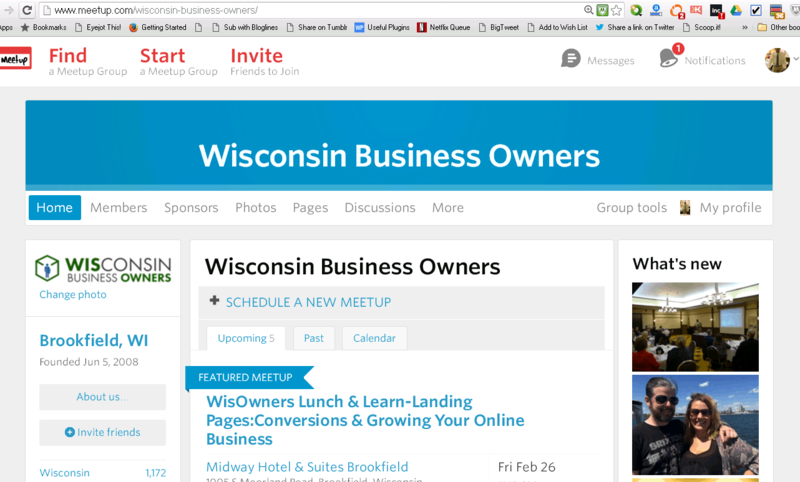 Our group – http://www.meetup.com/wisconsin-business-owners – has over 600 Members now, yet we’ve only averaged two or three dozen attendees at monthly meetups over the last few years. our ten years of doing this. Given the caliber of our attendees, our speakers, our venue (I go for the food!) and the total package we offer, we should be at capacity every time! I love the buzz we get, and I’ve really enjoyed other Meetup groups. I think a Meetup for Meetup Organizers could help us all trade tips and techniques to give our group Members the best experience possible. If you’re interested, please share your thoughts with a reply to this thread, a contact through the Contact Us page here, or send an email to keith (me) at onyourmark.com with Meetup for Meetup Organizers in the subject line.